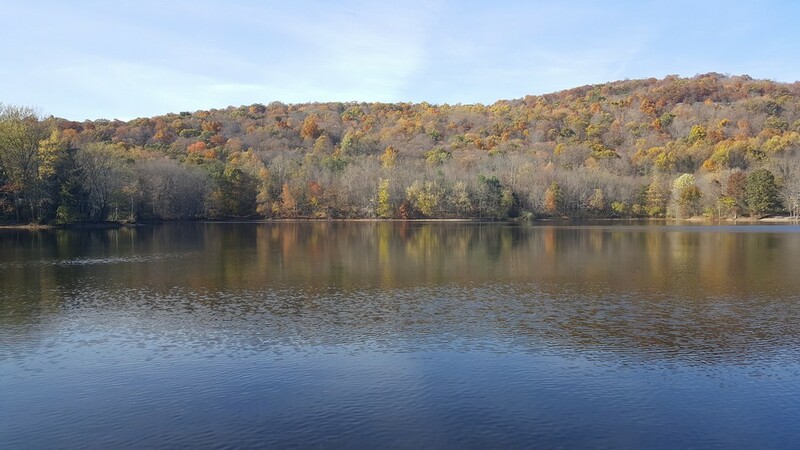 I had taken a lunch break during work on this beautiful fall day to Scarlet Oak Pond in the Ramapo Valley County Reservation. While I have been here many times, the beautiful blue sky with the late-season foliage was stunning. 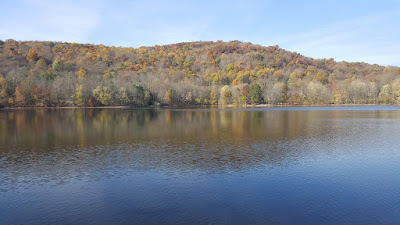 I only had my cell phone camera with me, though the pictures came out pretty good. 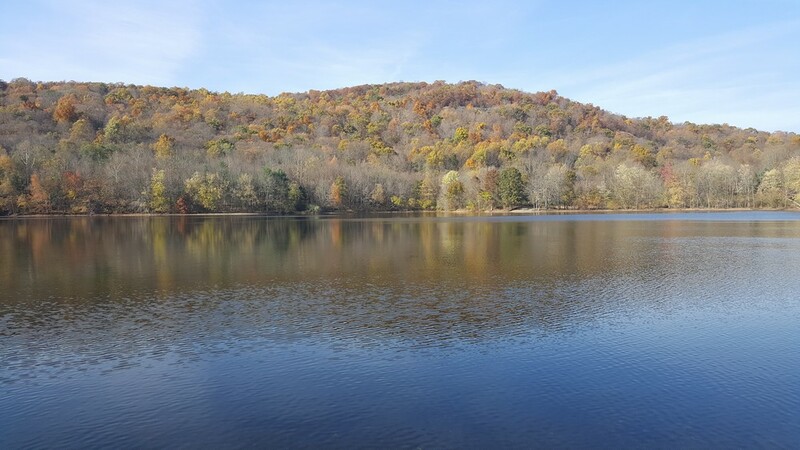 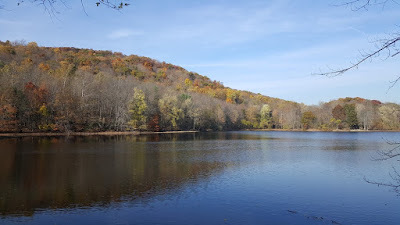 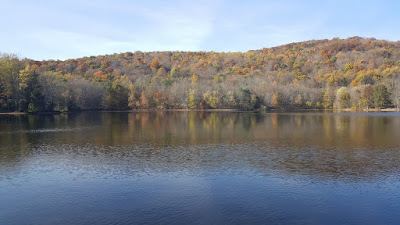 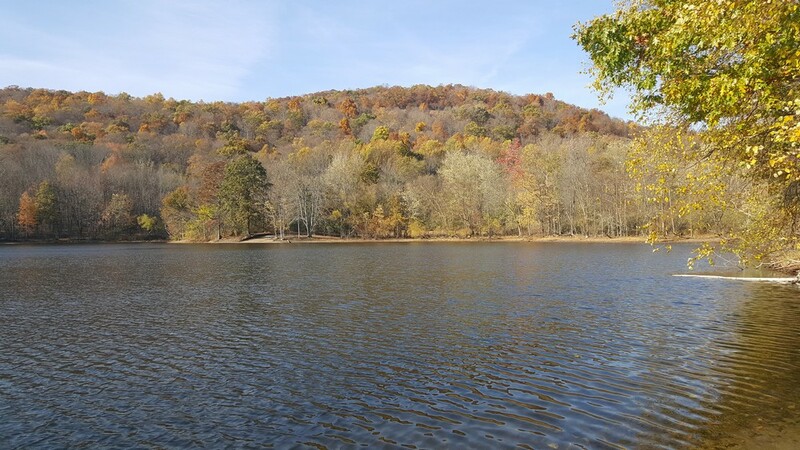 I parked in the large parking area by Ramapo Reservation off Route 202, crossed the Mahwah River, and walked the loop around Scarlet Oak Pond.